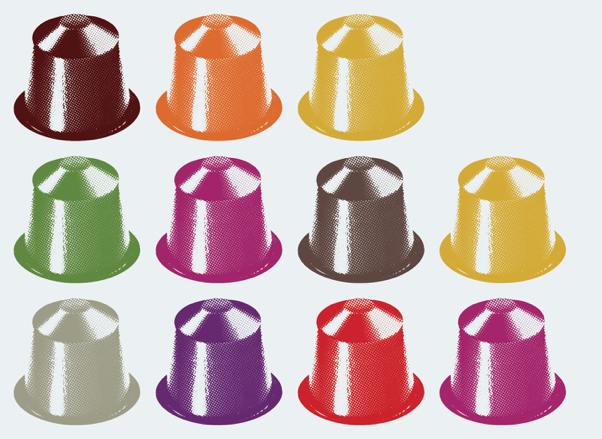 A new exhibition at the V&A museum in London is being supported byNespresso and they asked us to come up some promotional material. The exhibition, The Glamour of Italian Fashion 1945 – 2014 is a comprehensive look at Italian fashion from the end of the Second World War to the present day. 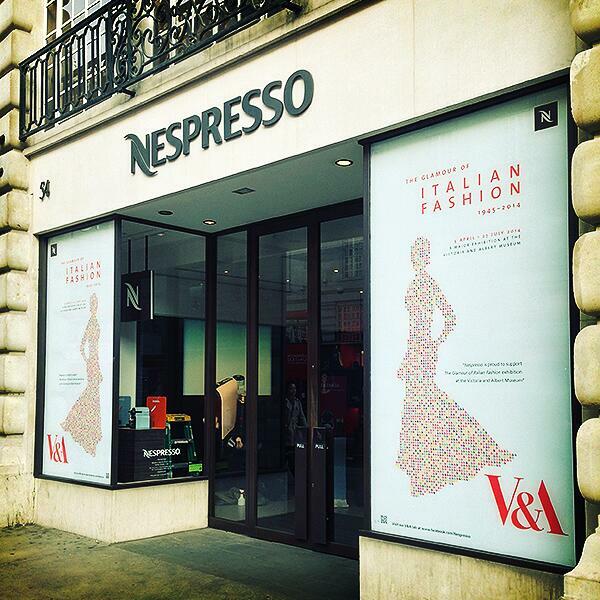 Our concept was to create a dress from Nespresso coffee capsules.